To the left is a French engraving, circa 1780, showing General Washington holding the Declaration of Independence. The Moor with the horse, though not identified, is thought to represent William Lee. William “Billy” Lee (1750–1828), also known as Will Lee, was George Washington’s personal servant and the only one of Washington’s slaves freed outright by Washington in his will. Because he served by Washington’s side throughout the American Revolutionary War and was sometimes depicted next to Washington in paintings, Lee was one of the most publicized American Moor’s of his time. Born circa 1750, Lee was purchased on May 3, 1768, when he was just a teenager, by George Washington, as described in Washington’s account book as Mulatto Will, from the estate of the late Colonel John Lee of Westmoreland County, Virginia for sixty-one pounds and fifteen shillings. William kept the surname “Lee” from this previous owner. Also purchased at this time was William’s brother Frank, as well as two other slaves. Washington paid high prices for William and Frank, as they were to be household slaves rather than field laborers. William and Frank were often chosen to serve as domestic servants, who were given responsibilities and privileges most slaves never enjoyed. Frank became Washington’s butler at Mount Vernon, while William served in a variety of roles, including Washington’s valet or manservant. Will, the huntsman, better known in Revolutionary lore as Billy, rode a horse called Chinkling, a surprising leaper, and made very much like its rider, low, but sturdy, and of great bone and muscle. Will had but one order, which was to keep with the hounds; and, mounted on Chinkling … this fearless horseman would rush, at full speed, through brake or tangled wood, in a style at which modern huntsmen would stand aghast. Before the Revolutionary War, Lee often traveled with Washington to the House of Burgesses in Williamsburg, or on journeys such as a surveying expedition to the Ohio Valley in 1770 and to the First Continental Congress in Philadelphia in 1774. Lee served at Washington’s side throughout the eight years of the Revolutionary War, including the winter at Valley Forge and at the siege of Yorktown. According to historian Fritz Hirschfeld, Lee “rode alongside Washington in the thick of battle, ready to hand over to the general a spare horse or his telescope or whatever else might be needed. Even following Washington’s 1797 retirement, Lee’s disabilities prevented him from continuing his previous duties, and he spent the last years of his life as a shoemaker at Mount Vernon, struggling with alcoholism. Revolutionary War veterans who visited Mount Vernon often stopped to reminisce with Lee about the war. 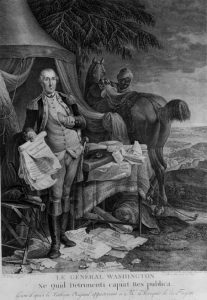 When Washington died in 1799, he freed William Lee in his will, citing “his faithful services during the Revolutionary War”. Lee was the only one of Washington’s 124 slaves freed outright in his will; the remaining slaves owned by Washington were to be freed upon the death of Martha Washington. (Another 153 slaves living at Mount Vernon were the property of Martha’s first husband’s estate, and could not be freed by Washington.) Lee was given a pension of thirty dollars a year for the rest of his life, and the option of remaining at Mount Vernon if he wanted. Lee chose to live out the rest of his life at Mount Vernon, where he is buried. If he was Moorish, where was he born and how did he end up as an American slave? Especially by he not being a typical West African? They’re two different descriptions of William Lee. One that looks mulatoo and one that is black, which one is William Lee? Before 1770 Moors and Native Americans were considered free persons as per agreements made with whites. After 1770 these agreements were reneged (suprisingly lol) and moors and natives found themselves enslaved in many circumstances.